While it is important to compare buckles' widths, lengths and details as you study and learn, as a buckle maker going on 50 years now, and relic hunter for many more, I have learned that buckle sizes vary. Of the 27 confederate 2-piece buckles that I personally dug from the battlegrounds, no two were the same. As a maker of reproduction buckles, I have experienced that no two people file or "finish" a buckle with the exact same pressure or strokes. They certainly try to replicate the original, but each file differently, and sometimes differently from their own prior work. For example, take 20 workers filling an order of hundreds of buckles (2-pieces, Sword Belt Plates, etc.) for the Confederate army, with demand for fast delivery, using various quality files...do you think each buckle of the order will be exactly the same dimensions? Impossible! Often people use the measurements stated in the above reference book, believing that if the buckle does not measure the size in the book, it is considered a fake. This error is due to not understanding the casting and finishing process. 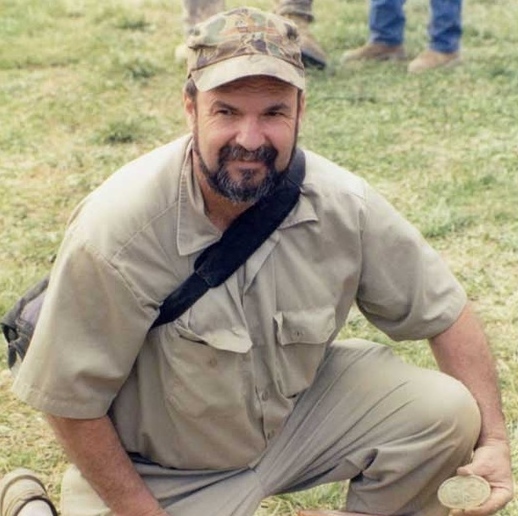 When comparing buckle dimensions, what most people are looking for is the telltale signs of shrinkage that occurs in the casting process of pattern to reproduction. If someone reproduces a "reproduction" then more size is lost in comparison to the original pattern, and more size lost on further generations away from the original. The state sword belt plates were cast and pressed in a die to sharpen the detail , then the hooks were brazed on. These sword belt plates will be the same if all were pressed in the same die. You will see little or no file marks on the sword belt plate around the edge or belt bar. The sword belt plate will have file marks on the hook side of the plate. This is where the metal was poured, cut off and filed. The point being...if the buckle you are comparing is not the exact dimensions quoted in this reference book, it does not discount it as being authentic nor does it validate it as being "fake". I have included an except of a communication with Mike O'Donnell to more clearly explain why buckle dimensions vary. 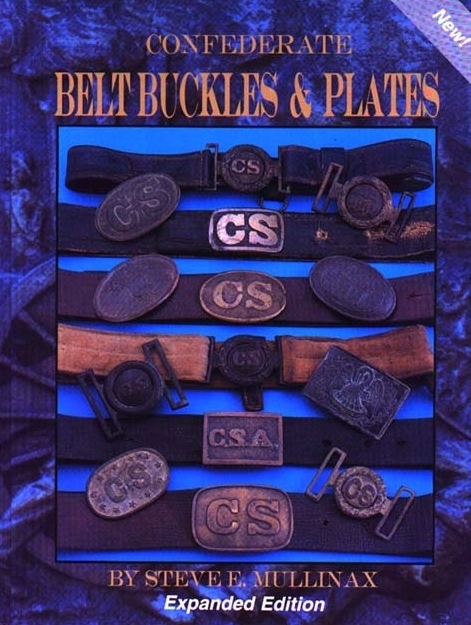 Excerpt from Mike's comments regarding the buckle dimensions in the book Confederate Belt Buckles and Plates (O'Donnell Publications) of which he assisted with the State and Militia plate captions: "I never meant for the "CS Buckles and Plates" to be an expert's book. My god, I didn't even measure the buckles all that closely - I just slapped a ruler on them and eyeballed the size. Now these fantasy buckle dealers live and die by whether a belt loop is 50 or 51 mm."